Ditch that grape jelly cocktail meatball recipe. And spoil your guests with beer BBQ meatballs instead! Juicy tender meatballs in smoky, rich and slightly sweet beer bbq sauce. The BEST! Garrat and I, for example, aren’t fans. Too sweet, too strong, simply not for us. To be fair, I tried to like it, I really did. 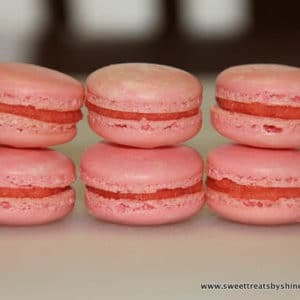 I used different recipes, variety of jellies, but it’s just a no-go in our family. But that’s ok! Being different is ok. In fact, it’s awesome! Because you get to be creative and find something you absolutely love! 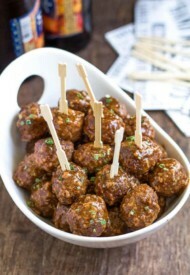 Like these amazing beer bbq meatballs!! You see, I adore meatballs. They’re a total comfort food around here, and you’ll always find frozen homemade meatballs in my freezer. 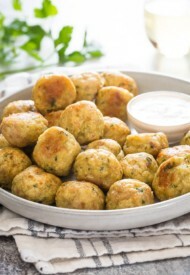 It’s easy to fix a quick dinner with meatballs on busy/lazy nights, and also effortless to feed a crowd! But one can only take so much meatballs and pasta, right? Not to mention how refreshing it’s to serve something totally different for a change. 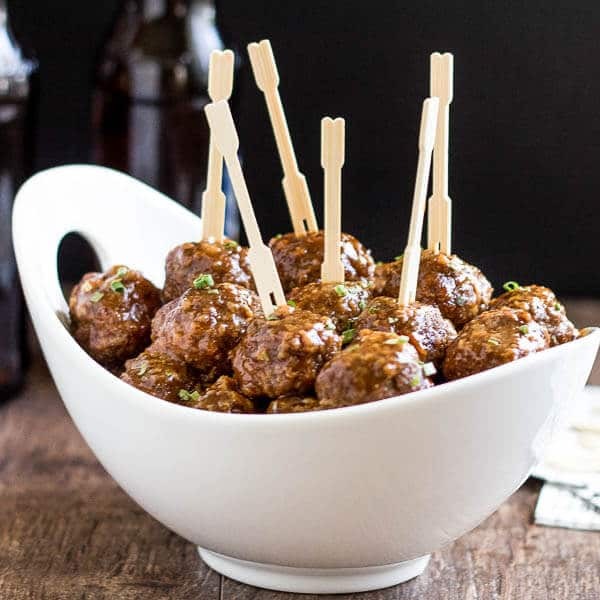 That’s why I was determined to create something similar to grape jelly cocktail meatballs for game day gatherings. And success!!! These beer bbq meatballs are a game-changer! The secret to my juicy, tender meatballs is Panko. It’s super light Japanese breadcrumbs, available pretty much at any supermarkets. I picked up this tip from Food Network a while back. I hated when no matter how well I mixed the meat with soaked bread, some meatballs would still end up with chunks of bread. (<- Have you had this problem, or is it just me?) My biggest pet peeve, and that’s been forever resolved with this Panko trick. Perfectly moist, juicy meatballs without any weird bread hanging out inside! ???? The easiest way to perfectly uniform meatballs is this medium cookie scoop. Shaping meatballs has never been so easy! You can use any kind of beer that you like to drink. I like medium bodied beer and I think it’s best for this recipe. But just like wine, whatever you like to drink would be perfect for cooking. Except darker stouts would probably give bitter taste, so I’d steer clear from them. The same goes about barbecue sauce. I’ve tried honey barbecue, hickory smoked barbecue, and loved them all. You can easily manipulate the flavors of this dish by choosing different beers and bbq sauces. Go wild and find your favorite. Let me know how it turns out for you, if you give it a try. I’d love to hear your feedback. Thanks so much for reading. Preheat the oven to 375°F (177°C). To make the meatballs, in a large bowl, combine beef, panko, garlic, eggs, Worcestershire sauce, salt and pepper. Thoroughly mix all the ingredients. To make uniform meatballs, use a medium cookie scoop and form 1.5-inch meatballs. Roll each meatball between you palms to smooth them out. To make the sauce, whisk together BBQ sauce and beer. Stir in couple squirts of Sriracha and pinch of salt. You can also use slow cooker to cook the meatballs. Simply place the meatballs with sauce and cook for 5 hours on low. For video tutorial and additional notes, read the post above. This recipe was originally published on September 29th, 2014. I love these meatballs fo main event for summer. Have meatballs with lots of extra sauce in a chafing dish. I serve nests of potatoes and Angel hair pasta next to balls. My meat and potato eaters are thrilled. Also my mother used oatmeal when she was out of planco. Worked just fine. Hello! 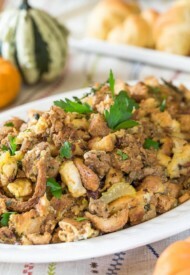 I’m going to try making these with ground chicken or turkey instead of beef — any tips before I do? Thank you! 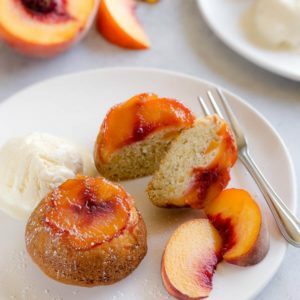 So happy I stumbled across this recipe! Can a little corn starch be stirred into the sauce to thicken or will sauce thicken on its own as it cools? Yes, you can add a little cornstarch, if you want thicker sauce. Super easy and tasted great! I made these yesterday for our family reunion. All but 5-6 meatballs were gone in 15 minutes after I set them down on appetizer table. Those five came home with me but we’re eaten this morning by my son! My cousin made meatballs too, your recipe, but different BBQ sauce and beer. Hers’ were served at mealtime but we’re eaten just as much as mine! Thanks from both of us! Tricia, this is fantastic! So glad you and your family got to enjoy these meatballs for both appetizer and the main meal. I love how they’re so versatile that you can use different BBQ sauce and beer to change things up. Thank you so much for coming back and leaving your feedback. It means a lot to me. I have a similar dislike of bread in meatballs or meatloaf but I never considered bread crumbs. Instead I use an old trick of my Mom’s, 1/4 cup uncooked oatmeal for each slice of bread the recipe calls for. 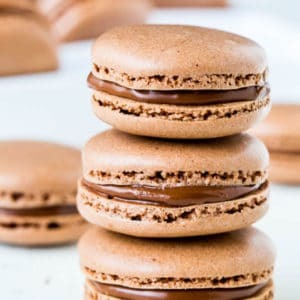 Better texture, better flavor (IMO anyway) and easy.You can use a blender or food processor (even a coffee grinder reserved for grains only) but I’ve never found it necessary just measure and add. I’ve never tried Stone Ground Oats though, don’t know how that would work. Hi, Kent! That’s very interesting trick!! I never thought of oatmeal, and I’ll definitely try that! Thanks for sharing your tip! We usually make our own ground beef, so not really sure what’s percentage. I suggest to go with 7% fat, as ours isn’t very fatty. Hope this helps, Laurie. These sound amazing! 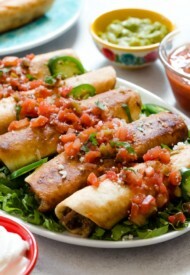 My husband would love it if I made these for the football game! Have you ever frozen these? What would the freezer instructions be? Emily, you can freeze the meatballs before cooking in the sauce. To freeze the meatballs, I usually shape the meatballs and arrange them in a single layer on a baking sheet lined with wax paper. I put the baking sheet with meatballs in the freezer until completely frozen. Then I just put them in a freezer bag to store, or if I’m storing for a long time, I vacuum seal them. Hope this helps. I made these twice! Once just for my hubby & me and then again for an Octoberfest we hosted at our house. They were a huge hit! The flavors are outstanding. 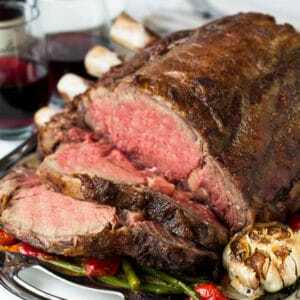 This will be my “party” dish when invited to bring a covered dish! Thank you! I can’t wait to try these…the beer and bbq combo sounds fantastic! YUM! Yes! It’s so good! Thanks for visiting, Michelle! 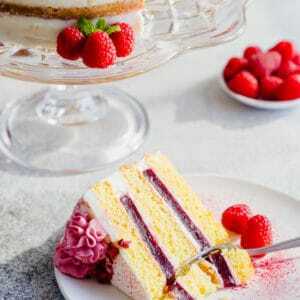 Those loook soooooooo yum. Meatballs with beer <3 <3 <3! love it. Wow- made these to test out for a later party. Used 1-ish pound ground chuck, 1-ish pound ground sirloin and 1-ish pound ground pork. Doubled the sauce ingredients. Tossed the garlic in to the panko to whirl thru the food processor. Skipped the pan lining of foil (wasteful and I’m always afraid i’ll get a small piece in my mouth-ugh!) Followed the directions on baking but next time I’ll roll ’em over half way thru to get all that yummy sauce glazed on all sides well. AMAZINGLY GOOD! They will be made again and again. Hi, Madeline! I’m so glad to hear that you enjoyed the meatballs. 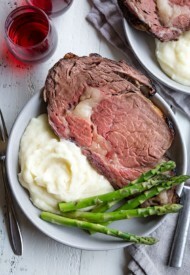 I love that you used the mixture of cuts and types of meat! I bet it added even more flavor. 🙂 Thanks for trying my recipe and for your feedback! Can I marinate the meatballs in the sauce overnight and then slow cook it all the next day? Marty, I’m not sure how it will hold up the overnight marinating. If they are frozen meatballs, I think it’ll be fine. You are SO right that these will knock the socks off of those grape jelly meatballs! Yum! Thank you, Becca! They’re delicious! Made these tonight and they were delicious!!! Even the hubby gave it two thumbs up! Thank you for sharing. I love serving meatballs over couscous for dinner. It’s so fast and simple. This sauce sounds awesome. Plus, my husband will love an excuse to buy beer. Meatballs are the best! 🙂 Thank you, Renee! what kind of bbq sauce…sweeet? It’s totally up to you. Whatever you like is good. I used honey bbq sauce. Sounds great, but what is Sriracha? Hmm, I’ve never had Redds Apple Ale, and honestly have no idea what to say. Quick google search gave me an impression that it’s a light fruity beer. So it might get overpowered by BBQ sauce. I usually drink medium bodied beers and they usually work great. For this particular recipe, I used Samuel Adams Octoberfest that I had on hand. These look amazing and I love the idea of flavorful beer barbecue sauce! Sriracha is my favorite hot sauce! You have a great blog and picture are amazing! Found you through food gawker and I’m glad I did! I have to save and pin so many from the recipes here, because I love them! 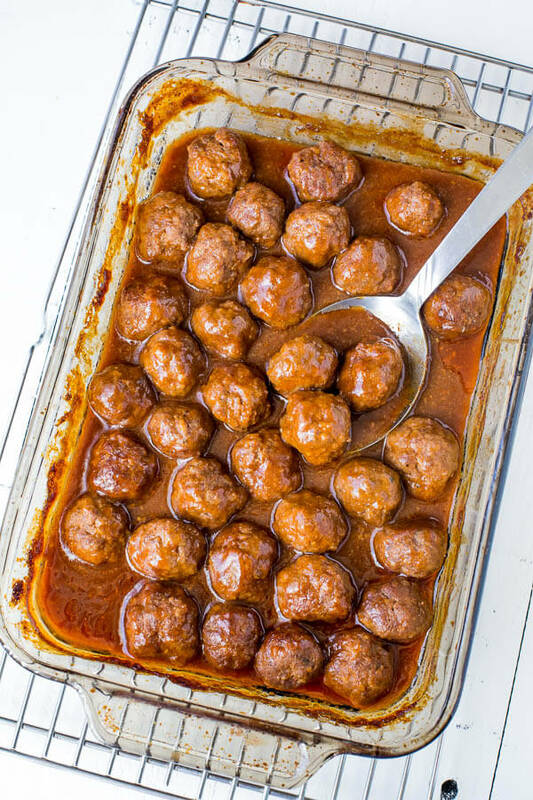 These meatballs look incredibly delicious but the hero of this dish is definitely that beer and barbecue sauce! It sounds seriously amazing and jam packed full of yummy flavour. Thanks for the great recipe! The sauce is definitely the hero! Thank you, Thalia! What’s the green stuff on top to make them look pretty? Holly, I sprinkled some dried chives. Thank you. I’m making these next Sunday when the girls from work come to meet our new baby. They look so good. Yes, but before cooking in the sauce. I wouldn’t suggest freezing after you cook them in the sauce.